While some may spend their time wishing wholeheartedly for naturally curly hair, others envy the blessing of having naturally straight and manageable hair. Not only is it time consuming to flat iron your hair every day, but it can also be damaging to use heat styling tools on a regular basis. Regular exposure to a flat iron can burn the hair, leaving it frizzy, dry, and hard to manage. 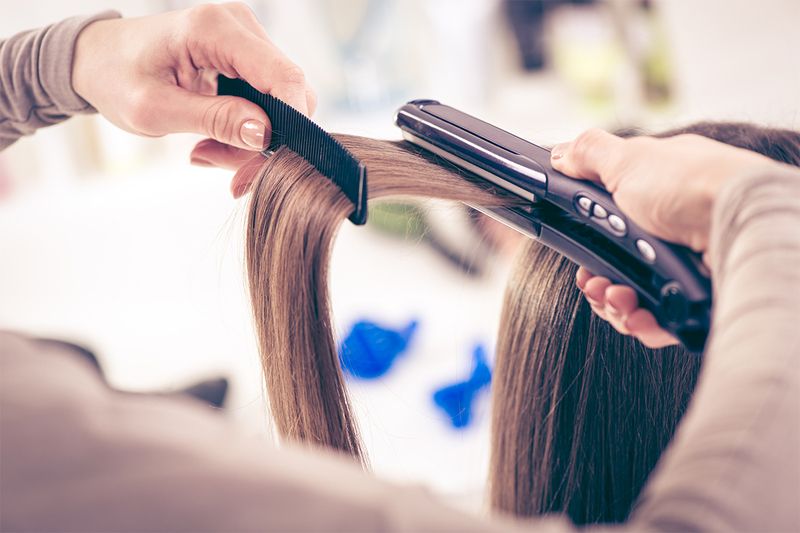 Fortunately, there are a lot of ways you can prevent heat damage if you do use a heat styling tool on a regular basis. Follow our simple steps below to make sure that your hair is protected from irreversible heat damage that can leave your hair dry and frizzy. WHY DO I NEED TO PROTECT MY HAIR? To better understand how you can protect your hair, you should first understand what your hair is and what it means to be healthy. Although you can’t feel your hair, it’s very much alive and desperate for nutrition in the same way that the rest of your body is. Each strand of healthy hair has a couple of layers to it. The outer layer protects the inner core (also called the medulla), which is filled with water and air and creates the translucent glow you see in healthy hair. Heat tools will damage and burn the outer layer of the hair strand, causing the inner layers to become dry and lifeless. Once the outer layer of the hair is burned, there’s really no way to save it. Your hair exists as it is once it comes out of your scalp, so once it becomes damaged the only way to fix it is to cut off the damaged parts and start fresh. Heat tools most often damage the ends first—or at least appear that way—because they’ve had the most exposure over time. It’s always a good idea to get a regular trim to keep split ends from creeping up the hair shaft and causing irreversible damage in places you don’t want them to. However, there are ways you can avoid having to deal with split ends as often. Using heat tools can contribute to unwanted hair damage because heat—as you already know—burns out any moisture it comes in contact with. Those tiny puffs of steam leaving your hair as you straighten it—as satisfying as it may be—is your hair’s lifeblood quite literally burning away. The right products and tools will prevent that from happening, you just have to know where to start. Before you begin sectioning off your hair to go at it with a flat iron, take some time to put products in your hair that will help lock in the moisture your hair needs to stay healthy. 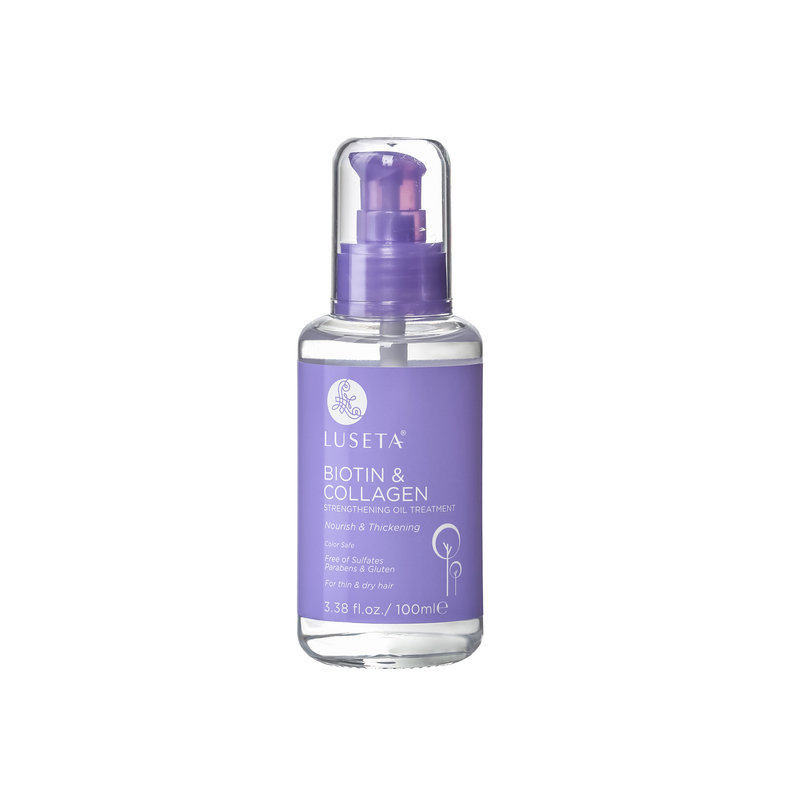 Heat protectant products, like Luseta Beauty’s Argan Oil Heat Protectant, will provide a moisture boost with healthy oils while simultaneously locking in that moisture to protect your hair from heat damage. Vitamin E, found in Argan Oil, and added Sunflower Seed Oil, help protect and nourish each individual hair strand with healthy fats and nutrients. 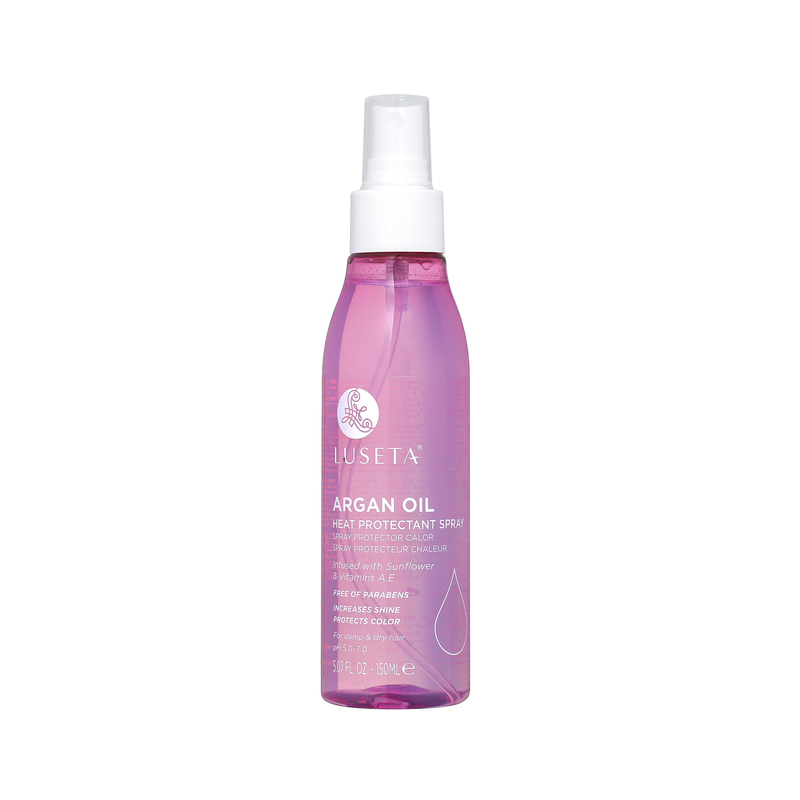 The formula also works to protect your hair color, making the Argan Oil heat protectant spray ideal for color-treated hair that’s exposed to heat tools on a regular basis. Aside from a heat protectant spray, there are other products you should and shouldn’t use if you’re planning on styling your hair with heat tools. Shampoo’s are notorious for stripping the hair of its natural oils, so it may be a good idea to wait until you’re in between washes to break out the flat iron. In between days when you plan to style your hair with heat tools, it’s important to take care of your hair the same way you would take care of yourself. 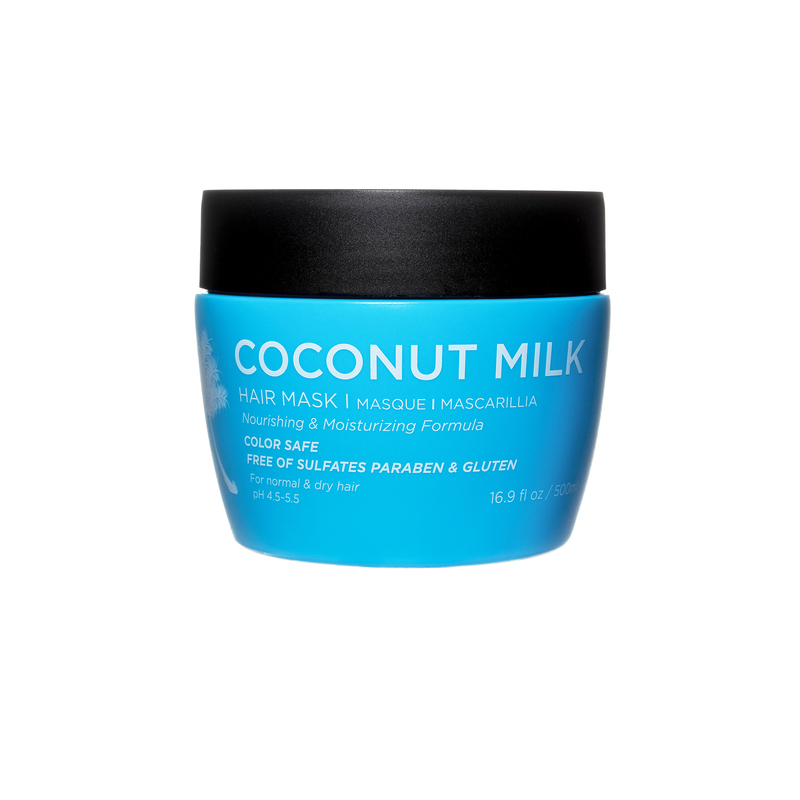 Coconut oil hair masks are a great way to add nourishment on your day off, and towel drying your hair properly can prevent breakage and unwanted frizz. Finally, before you begin using the flat iron, make sure to blow dry your hair with a low-heat drying tool to minimize heat damage. Flat irons that advertise the ability to take the hair from wet to dry can often be the most damaging, so listen to your stylist when they tell you to always make sure your hair is dry before you begin to iron it.